This little down-tempo ditty won't have you up dancing or pushing the repeat button, but it still has that je ne sais quoi that draws me back to it time and time again (I know, I used french in the middle of a sentence. I'm a pretentious douche. Plz try to forgive my Parisian slip up and we'll move on). 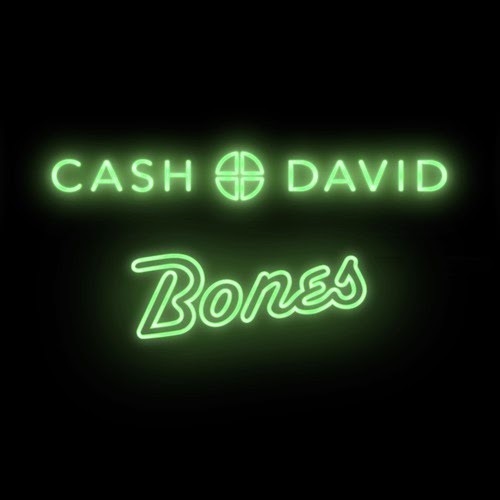 Cash + David everyday identities are Tim Ross (Cash) and Liz Lawrence (David)........ i don't get it either. But their based in London and produce music like this so they must be cool. Liz has some serious Zooey Deschanel-sounding vocals which sounds amazing over the complex layers of perfect synth (actually, I can't really judge anything having to do with synth considering I have no idea what it even looks like... I imagine it looks like the love child of a 1998 PC and a xylophone).